Image caption The latest round of Trump tariffs effectively tax half of all Chinese goods exported to the US. President Donald Trump has slapped a third wave of tariffs on $200bn (£152bn) of Chinese goods. This means that almost half of all the products the US buys from China will have tariffs on them - equal to 40% of China's exports to the US. Almost half of the products on this list are consumer goods - things like suitcases, handbags and cutlery. This seriously raises the stakes. China has already said it will not take this lying down, and talks that were reportedly due to take place between both sides increasingly look like they will be shelved. Each time the Chinese thought they were close to a deal, they were effectively Trumped. The US leader's tweet on Monday illustrates the value he sees in trade tariffs - simply as a bargaining chip. But it is a massive gamble - America has as much, if not more, to lose than the Chinese. The immediate impact of these tariffs is that prices for US consumers will most likely go up, Chinese exporters will probably suffer from lower orders, and both countries will see economic growth rates under pressure. I've been in China this week, and have seen for myself just how far apart these two countries' positions are. But I've also seen how intricately intertwined the countries are, and how dependent they have been on each other for growth. The problem is in part down to the each country's understanding of the other's motives - and that lack of understanding is the reason why neither side is willing to budge. 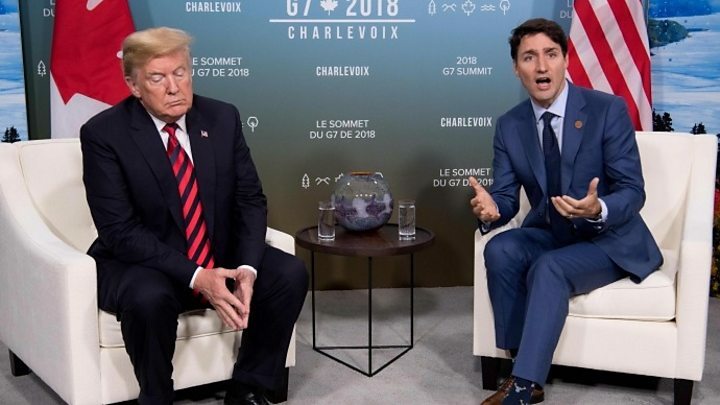 Mr Trump says that China has stolen American technology, American jobs, and played a dirty game when it comes to restricting access to the Chinese market for US firms. "A market can be open officially and yet there are still barriers," he told me. "This has been a problem with China for basically the last 30 years." 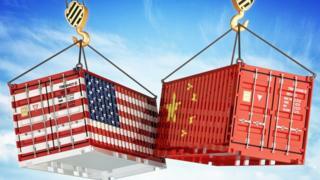 Mr Zarit added, however, that the US business community in China doesn't see tariffs as the best way to solve the structural differences between the two sides. He said the trade tensions have had already had an impact on the treatment American businesses get in China. "Holding up certifications, extra inspections at a factory, looking very carefully at your tax records for the last five years, holding something in customs until it rots and then you can send it back to America" he said, describing the sorts of things that American businesses can sometimes face in China. Still, others point to the fact that China is deeply misunderstood by the US - and that's the reason why the two have yet to come to any resolution on the trade war. China has more than three million students studying in the US, compared to the 15,000 or so Americans that are studying in China, Wang Huiyang, president of the Centre for China and Globalisation, told me in Beijing recently. The think tank advises the Chinese government on policy. This lack of people-to-people exchanges means China's story and its economic model isn't convincingly explained to the West. Mr Wang also noted how beneficial the US China relationship over the last 40 years has been for American firms. "All the major US companies are in China," he told me. "Some are even bigger here than they are in the US. You can't say that is not a success." So which viewpoint is accurate? Well, the truth - as always - lies somewhere in between. China is changing and opening up - but the government here imposes an inordinate amount of control over how the economy is run. And while it's true in some sectors Chinese companies do operate on a level playing field, there are many parts of the Chinese economy that are still heavily protected. But the US has also benefited from the decades of low prices and record profits operating and manufacturing in China has afforded American consumers and companies. "I think this trade friction is a wake up call on both sides to see how inseparable we are," says Mr Wang. "It's like a husband and wife - you can quarrel but you cannot divorce." But it's hard to see how this quarrel might end anytime soon. "I don't see a way out in the near term," said Mr Zarit. "I would like to see serious negotiations in which the Chinese will address market opening, reciprocal treatment and equivalency." Given the diametrically opposing views Washington and Beijing have of their problems, this trade war is unlikely to get better before it gets worse - for them, or for any of us.